Kingscrossing is a new sofa series featuring beautiful track arm detail with welt trim. A beautiful Solid wood ply nth base in your choice of finishes is available. An Elegant design with 2 over 2 construction or 3 over 3 is available. Seats and back pillows that are Velcro together to keep from slipping around. 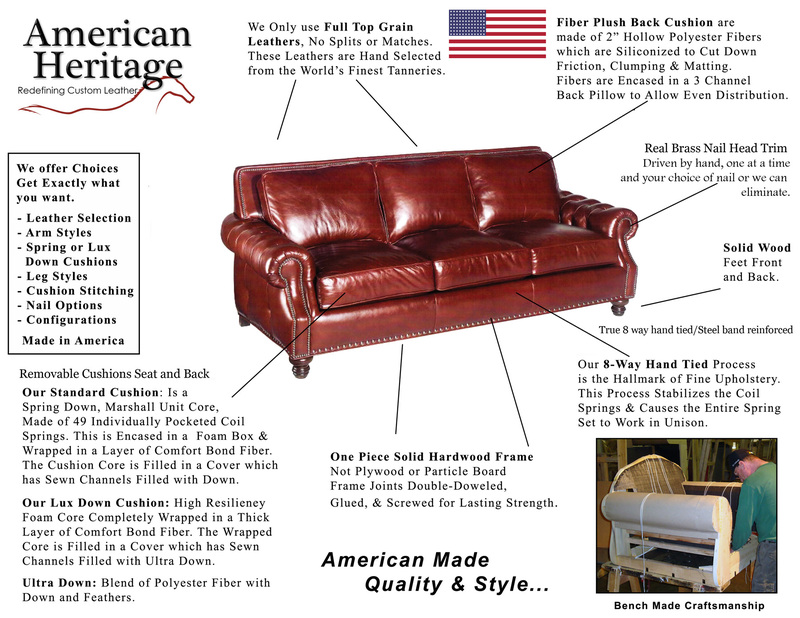 Numerous matching pieces are available including love seat, chair, ottoman, and Sectional. Custom sizes available, see sales associate for details. Cushion Width: 35.5 as a 2/2 "
We ordered this model in configuration #4 for our living room. It is absolutely beautiful. Feels like a cloud to sit on. The leather is top notch. Delivery guys were great as well.